Well, bikers hold up your hearts because famous movie jackets are just too good to produce such an amazing and admiring thing for you now. 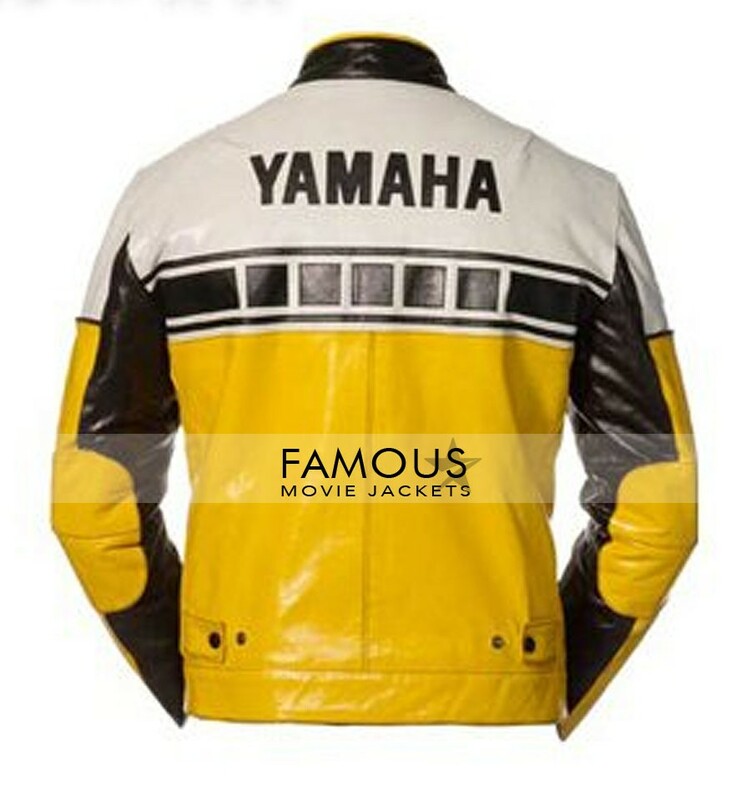 This Yamaha Yellow & Black Motorcycle Jacket will surely admire your friends, family, colleagues and every being around you while you wear this amazing thing on your legend type personality. This Yamaha leather jacket gives a pure biker look when you wear it or we can just conclude that its a biker style jacket best to wear with t-shirts and round neck shirts. The closure style in front of Yamaha Yellow Motorcycle Jacket is the best part of this leather cloth which gives a handsome look to your body. Like when you close the front side and buckle high neck collar while riding bike and helmet you will look seriously hot in this thing which features with yellow and black color YKK zipper and round neck buckle collar in front for closure including funky style on chest side. Order it before its too late to get it. Great effort people.It is the first time I bought this online shopping and buy this Yellow Yamaha Biker Jacket & i am truly well satisfied from all things.